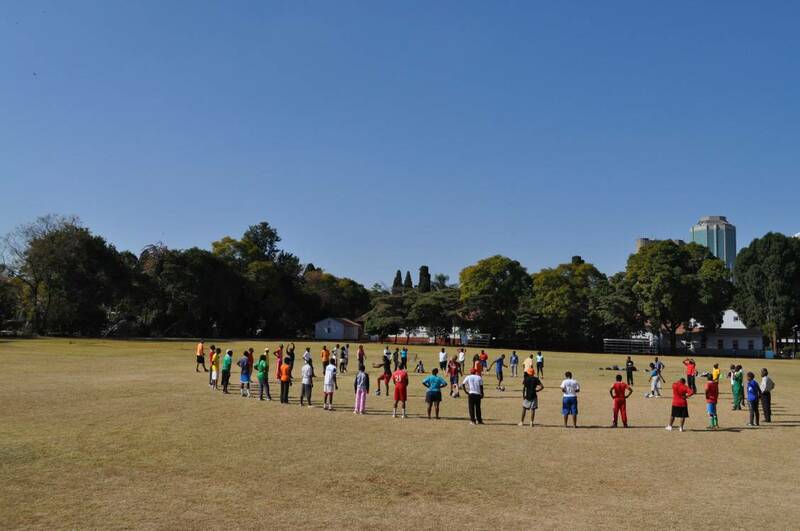 CAC Community Impact Coach Frank Chivawura talks about his experience with CAC and the Sports and Recreation Commission in Harare, Zimbabwe. July 12th 2015. It’s so amazing how sport can be used as tool to reach out to the inner most being. I noticed people building so much confidence in themselves, as coaches aired out their views and comments during our discussions after a game. I believe each and every one of us is affected one way or the other by the things that happen in our lives and communities. With CAC games I realized that it’s only a matter of time that the problems within communities will be eliminated. People will get to know more about their rights and will have ways to solve problems without having to engage in violence. It was truly a wonderful week despite the cold temperatures. I worked with CAC coach Turner Humphries and volunteers Charlie and Ramon. They were a delight to work with. It was a very educational and humbling experience to be one of the few CAC Community Impact Coaches. I felt so happy and honoured to have been there helping other coaches, teachers and members of the community realize that football can be used for social impact. The program was held at Queen Elizabeth and about fifty five participants attended. I was privileged to have been part of the C.I.C. 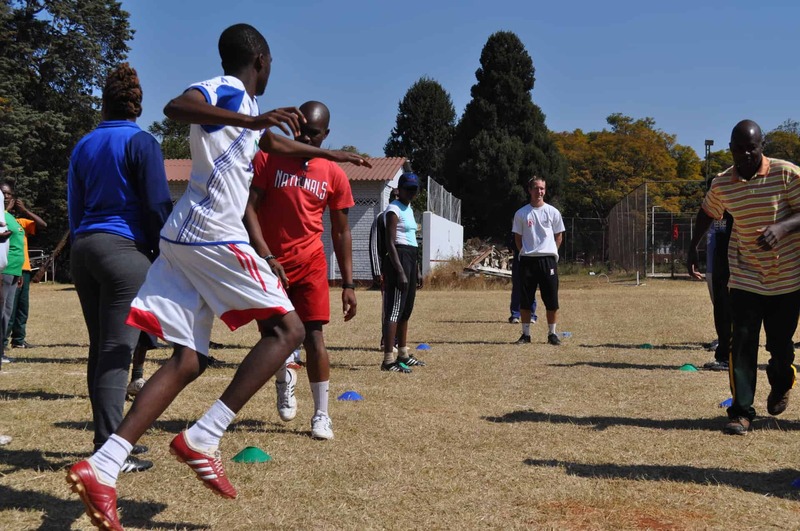 (Community Impact Coaches) which trained our own Zimbabwe Women’s National Team coach Rosemary Mugadza and some former Zimbabwe Women’s National Team players. There was a wide variety of games that taught of different types of violence and abuses against women and children. The days were packed with action and excitement, from morning to late afternoon. There were games like Can Adebayor see HIV, Stamford Bridge tag, Pick Up and Get Clean, which was my favorite game. Most of the games focused on health and wellness, child rights and women empowerment. The games taught solving problems without violence which I noticed was so much helpful to the coaches as they came to realize that so many ways can be used to resolve conflicts without having to use violent ways. Our program ended with the presentation of certificates . I enjoyed the whole experience. It taught me that despite our differences in races and backgrounds , we can still work together for a common goal. Many thanks go to the Sports and Recreation Commission and Coaches Across Continents for making this program a resounding success. And I look forward to be part of another exciting CAC program. You have no idea how many lives CAC has changed, keep up the good work. Next: CAC Nominated For UK Charity Awards!